﻿ Genesis 1 & 2: Fact or Parable? 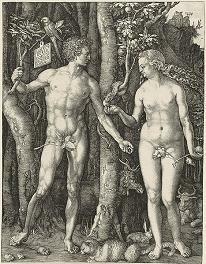 Genesis can only be understood in that it is our story, each of us is Adam, each of us is Eve, we misunderstand the Genesis parables when we fail to realize that they are addressed to US. Genesis, then, is our unique, individual story told as parable it is not some pre-scientific attempt to explain how all things came to be but rather a profound series of meditations on why things should be in the first place. » Genesis 1 & 2: Fact or Parable?